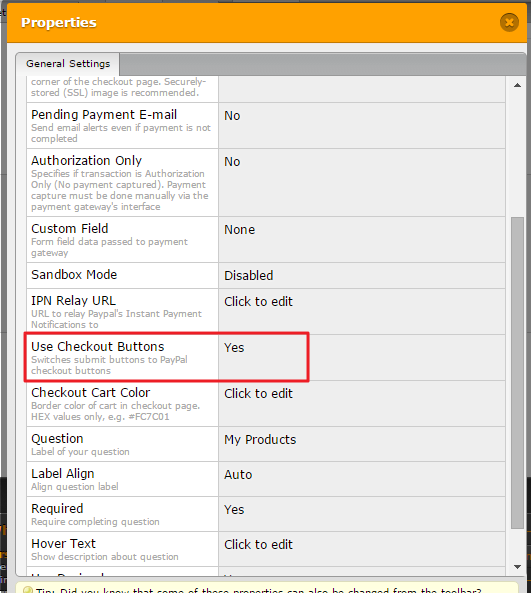 How to use PayPal checkout buttons on my form? I am unable to access the Pay Pal button created via the JotForm PayPal widget to be able to control the payments. There is an almost $6 additional fee added to the recent charge for reasons that are unclear. I called PayPal but they are unable to heads or tails of the coding you use. I need to use the JotForm and the PayPal functionality via both sites. Can you help? I understand that you are trying to have Pay with PayPal button on your form. 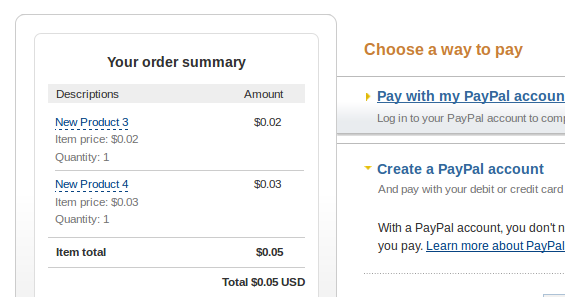 This can be achieved by changing the option Use Checkout Buttons to Yes in the PayPal payment field properties. I'm not sure if I understand your query correctly with regard to additional $6 free. Please note that JotForm will not charge anything on your transactions through the forms. 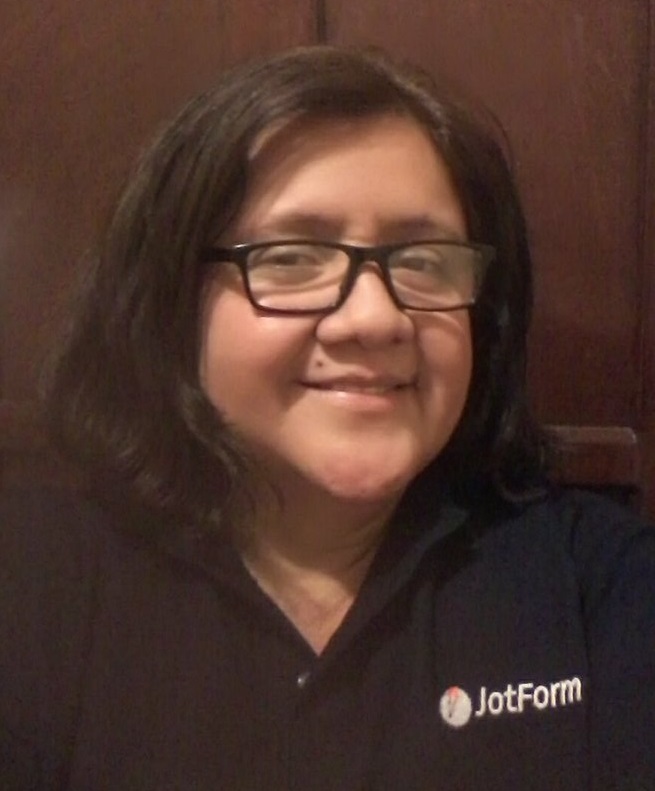 JotForm hands over the transaction with the final amount on the form to the payment gateway and receives a message either the transaction is successful or not. If there are any charges you see on the transactions, it may be based on the account type (Personal/Business) you are having with PayPal. If you are referring to something different, please let us know. We will be happy to help. I can see how there is confusion. No. The submit/PayPal button is fine. The problem I'm having is that the product that is created by the PayPal integration is not available via PayPal/My Account. I need to be able to tweak the product, as there is an extra charge we do not want. I cannot find this extra charge inside the PayPal integration on the form...nor can I access the Product I've created via the PayPal integration through PayPal. If the PayPal integration does not speak to PayPal directly, and the products created during the integration do not appear under my account through PayPal I have very little control over the process. Ideally, yes....your PayPal Integration would make the product available through PayPal, however, that is not the case. I have spoken with PayPal Customer Service. I have directed them to your website. They have looked at the code and decided that they can do nothing with it. The product DOES NOT appear through the PayPal account. I am unable to access the product through PayPal and have thusfar been unsuccessful in accessing the inner workings of the products through JotForm, such as a mysterious $5.75 charge that is being added. Unfortunately, it is not possible to access the products created with JotForm's PayPal wizard in PayPal since it is hard coded and send the information to PayPal using API. I am still unclear on the additional fee mentioned here. Could you provide us with a screenshot where the $5.75 is being added so that we can take a look and provide you with necessary assistance.